From Italy to Abu Dhabi and everywhere in between, here are the 14 countries and 20 destinations which have hosted the final races in each of Formula 1’s 69 seasons, and seen the title decided on 30 occasions. The Italian Grand Prix at Monza has never been held on a date outside of the two-week period from September 2-16 on all 68 occasions it has been on the calendar, including six seasons in the 1950s when it was the last race of the Championship. The Drivers’ Championship was settled on three of those occasions. Giuseppe Farina was crowned the first ever Drivers’ Champion in1950, while the 1955 and 1956 races secured Juan Manuel Fangio his third and fourth title victories. For the second year of F1, the final race moved to the Pedralbes circuit in the western suburbs of Barcelona. This street circuit was much loved by fans and drivers alike and would host the season-closing event twice; in 1951 and 1954. Juan Manuel Fangio claimed the first of his five drivers’ titles here in 1951 after winning by almost one minute. Following the Le Mans disaster in 1955, racing on the streets of Pedralbes was halted due to safety concerns. Spain held the season-closing race once more, over fifty years after the last race at Pedralbes. Though titled the ‘European Grand Prix’, the 1997 finale was held at Spain’s Jerez circuit and produced one of the most controversial endings to a season in F1 history. Michael Schumacher collided with championship rival Jacques Villeneuve in a move which put himself out of the race. Schumacher was eventually disqualified from the championship as a result, handing Villeneuve his solitary World Championship title. The Ain-Diab road circuit in Casablanca is the first of nine circuits on this list to have hosted F1’s curtain-closer only once and Morocco is one of five countries to have held the last race of the season a single time. The 1958 Moroccan Grand Prix was the thirteenth and final running of the event, and the only time F1 has ever staged an event in the country. Mike Hawthorn became the first British driver to win the Drivers’ Championship at the only-ever F1 race around the 7.6km circuit in October 1958. It would also be Hawthorn’s final F1 race as he retired from the sport at the end of the season, and was killed in a road traffic accident just months later. The United States has hosted more season-closing Formula 1 races than any other country, with twelve races taking place at four different circuits (Sebring, Riverside, Watkins Glen and Caesars Palace) between 1959-1982. From 1959-1961, America hosted the final race of the season at three different circuits in consecutive years. 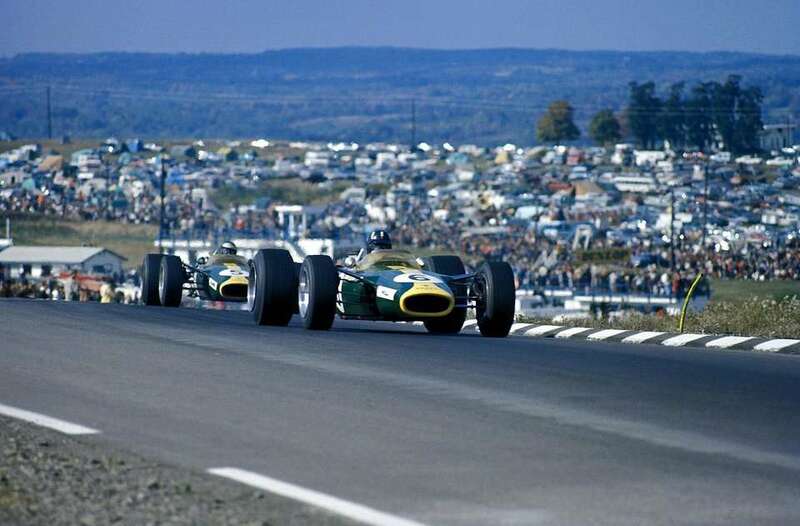 Of the three, the 1959 event was perhaps the most exciting, with Jack Brabham, Stirling Moss and Tony Brooks all in contention for the Drivers’ Championship. Though Moss failed to reach the end of the race, a podium finish for Brooks was unable to stop Brabham storming to the first of his three drivers’ titles. After a trip to the Riverside International Raceway in California for the last race of the season in 1960, Watkins Glen hosted the final round of the championship in 1961, and again from 1971-1975. The only champion crowned at the track during that time was Emerson Fittipaldi, whose fourth-place finish in the 1974 race was enough for him to win a second championship. Two more season-closing races were held here in 1979 and 1980, making Watkins Glen the host of the second-most season ending races in F1’s history. Though the last race of the season moved away from Watkins Glen, it didn’t venture outside of the USA. Caesars Palace in Las Vegas was the venue for the final race of the season in both 1981 and 1982. Though champions were crowned on both of F1’s visits here, the track, which ran around the parking lot of the Caesars Palace hotel and casino, is widely regarded as one of the worst the sport has ever visited. South Africa has hosted the final round of the season on three occasions – at the East London circuit in 1962 and 1963, and at Kayalami in 1983. Both the 1962 and 1983 seasons saw title deciders, as Graham Hill and Keke Rosberg were crowned champions respectively. 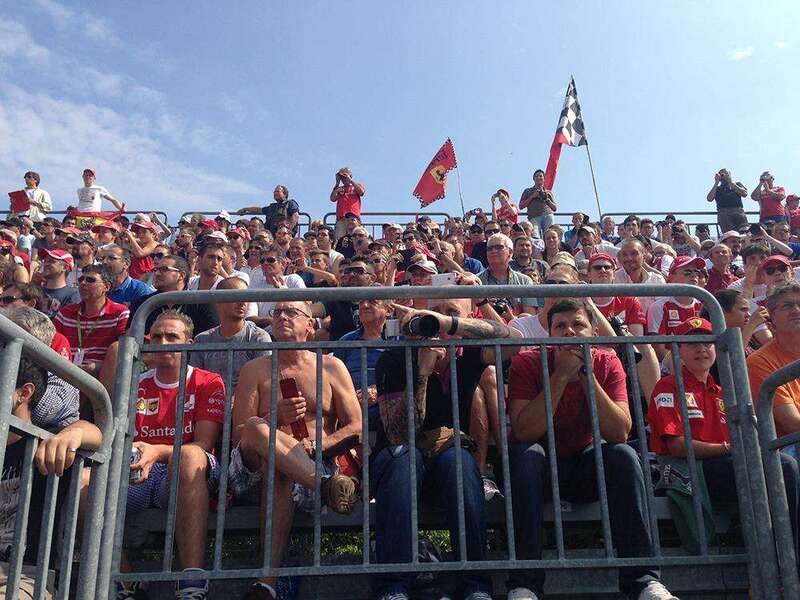 Ferrari also took the Constructors’ Championship at the latter event. Mexico City hosted season-closing races for the majority of the sixties. The Autodromo Hermanos Rodriguez was the final race of the year from 1964-1970, with the title being decided here in 1964, 1967 and 1968. Formula 1 left Mexico behind after the 1970 event due to safety concerns about the over-enthusiastic crowd. Formula 1 visited Japan for the first time in 1976 as the Fuji Speedway hosted the final race of the year and the conclusion of one of the most epic championship battles in F1 history, between James Hunt and Niki Lauda. In a season which has been well-documented by numerous documentaries and a feature film, Lauda had sat out some of the races due to a near-fatal accident at the Nurburgring. After his miraculous recovery, the Austrian was still in the title race, sitting three points ahead of Hunt. It was Hunt who would be crowned champion though, as Lauda pulled into the pits after two laps, withdrawing as he claimed the wet conditions were too dangerous for racing. Fuji hosted the last race of the year once again in 1977, but it was far less eventful. DID YOU KNOW: While the focus was on the dramatic championship battle, Mario Andretti won the 1976 Japanese Grand Prix. It was his second victory, and came well over five years after his first win at the 1971 South African Grand Prix. The gap remains the longest ever between a driver’s first and second wins in F1 history. Japan hosted the final race of the season once again almost twenty years later as the F1 circus rolled in to Suzuka at the end of the 1996 season. Four of the six races here which have been the final race of the season have also been title deciders. Damon Hill won his title here in 1996, Mika Hakkinen won both of his titles here in 1998 and 1999 and Michael Schumacher won his sixth title on Japanese soil in 2003. Suzuka also hosted dead rubber races in 2001 and 2002 as Schumacher and Ferrari had already clinched both championships. The 1978 season ended in Canada for the first and only time. The race, in early October, was the first to be held on the circuit now known as Circuit Gilles Villenueve after safety concerns had put pay to Mosport Park, the previous home of the Canadian Grand Prix. While Mario Andretti had already won the championship, it was a particularly special event for the home crowd as local hero Gilles Villeneueve took his maiden Formula 1 victory with Ferrari. The race also marked the first Grand Prix appearance for future three-time World Champion Nelson Piquet. The Portuguese Grand Prix returned to the F1 calendar for the first time since 1960 to host the last race of the season in 1984. The recently-renovated Autodromo do Estoril was a new addition to the calendar. The race was a title-decider with McLaren team-mates Niki Lauda and Alain Prost going head-to-head for the honours. With Prost leading, Lauda needed to finish runner-up to win the title, which he eventually did thanks to a late spin from Nigel Mansell. It was Lauda’s third and final championship victory. Adelaide hosted more season-closing races than any other circuit; eleven consecutive races between 1985-1995. The Abu Dhabi Grand Prix will have to remain the season finale until 2024 to beat the record held by Adelaide. During its eleven seasons at the end of the calendar, the Drivers’ Championship was decided here only twice, in two of the circuit’s most memorable races – 1986 and 1994. Nigel Mansell, Nelson Piquet and Alain Prost all headed into the final race of 1986 with a shot at winning the crown. Mansell took pole, needing a podium finish to secure his first championship victory. He was in third place when, on lap 64 of 82, his left rear tyre shredded on the straight, bringing his Williams to a halt and dashing his championship hopes. Prost won the race and the title. In 1994, there was a controversial end to the championship as Michael Schumacher collided with title rival Damon Hill, eliminating both from the race. The result gave Schumacher the first of his record-breaking seven titles. During its time in Formula 1 between 1999-2017, the Sepang circuit in Malaysia hosted just one season finale, on its second calendar appearance in 2000. Michael Schumacher, who had already wrapped up the Drivers’ Championship for the year, took his ninth victory of the season; equalling the record at the time. A double podium finish for Ferrari secured their second consecutive Constructors’ Championship win. Previously held toward the start of each season, Interlagos later became one of the most popular season-closing venues, perhaps because of the dramatic title-deciding races seen here when it hosted the final race of the season. The title was decided here in 2006, 2007, 2008 and 2012, with the last two being the most dramatic. Both held on rain-hit afternoons, the Grands Prix in 2008 and 2012 saw Lewis Hamilton and Sebastian Vettel respectively fight against the odds to be crowned champion. The Yas Marina Circuit became the first new venue since Adelaide to join the calendar and host the final race of the season on its maiden calendar appearance. Its first appearance in 2009 saw Formula 1 host the first ever twilight race in its history, a unique aspect which makes for stunning TV images of the glamorous Yas Island. Four drivers headed into the final race of the season here in 2010 with a chance of winning the championship. It was Sebastian Vettel who clinched his first title on that day. The circuit became the permanent host of the season finale in 2014, with a race which controversially offered double points. Thankfully, the point of contention didn’t have any impact on the championship result as Lewis Hamilton won his second title. Nico Rosberg is the latest driver to have won the title at the track, having done so on what turned out to be his final Grand Prix appearance in 2016. Which destination has been your favorite season-ending venue? Where would you like to see the finale held in future seasons? Leave a comment and let us know!